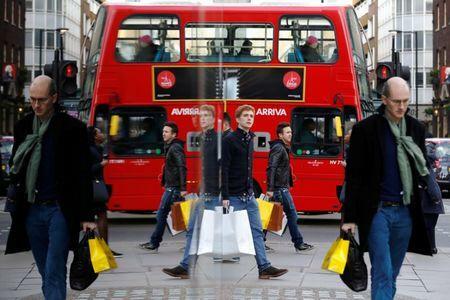 LONDON (Reuters) - British households are the most upbeat about their finances since early 2015, buoyed by near-record employment, but the approach of Brexit and concerns about inflation are making them worry more about the future, a survey showed on Monday. Financial data company IHS Markit said its monthly Household Finance Index rose in August to its second-highest level since it was launched nine years ago at 45.9, up from 45.0 in July. Britain's unemployment rate sank to a new 43-year low of 4.0 percent in the three months to June and the share of people in work is only a fraction off a record high, data showed last week. "That said, the spectre of higher living costs on the horizon and ongoing Brexit uncertainty both contributed to renewed worries towards future household finances," Sam Teague, an economist at IHS Markit, said. Households' pessimism about how their finances would fare over the next 12 months was the greatest since March 2017, when British Prime Minister Theresa May started the clock on a two-year period of Brexit negotiations. 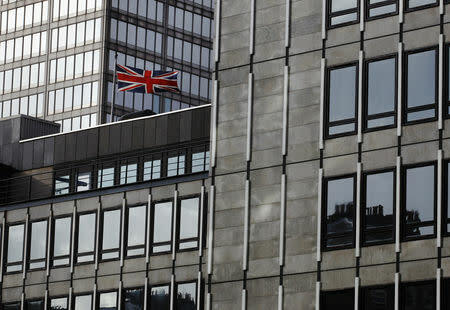 The survey also found nearly 73 percent of respondents expected another Bank of England interest rate hike in the next 12 months, down only slightly from July's survey. The BoE raised interest rates for only the second time since the financial crisis on Aug. 2, and Governor Mark Carney said financial market expectations of one rate rise a year for the next couple of years was a good rule of thumb. Market research company IPSOS Mori interviewed 1,500 people for IHS Markit between Aug. 9 and Aug. 13.